Print our pyramid template onto yellow card. 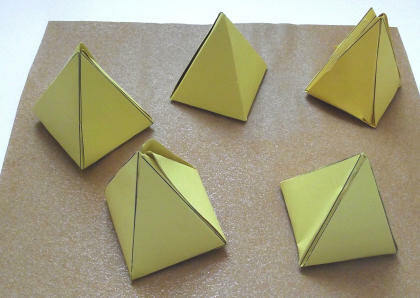 Cut out, fold and glue, following instructions. Glue the bottoms of the pyramids to the sandpaper.